It would be very easy to spend a lot of money on road cycling shoes. You could buy an actual bike – a proper one, not a supermarket special – for the price of a top-end pair of disco slippers. 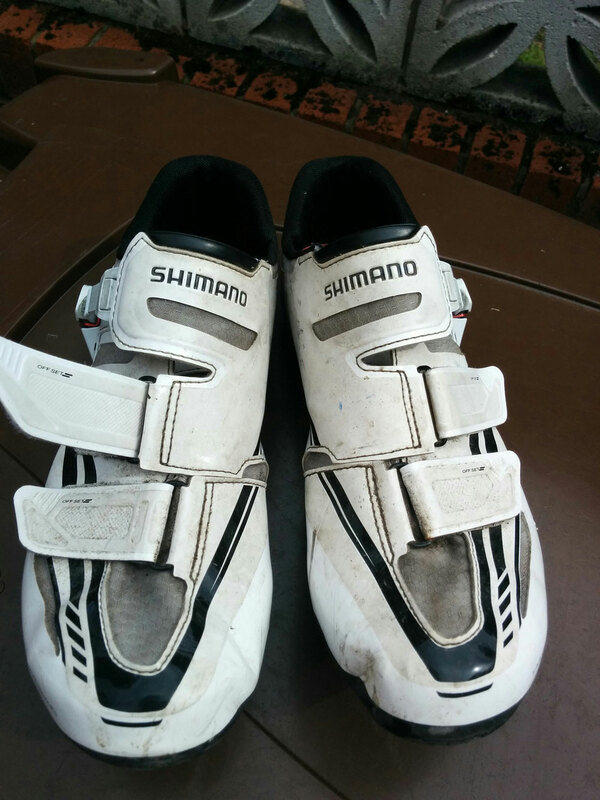 Not being a man of independent means, I’ve had to limit myself to mid-range shoes and so I can’t honestly say whether a £350 pair of shoes is three times as good as the Shimano R170s – but somehow I doubt it. They are the entry level carbon fibre-soled offering in Shimano’s footwear range, but there’s nothing cheap or nasty about them at all. While resin-soled cycling shoes are all well and good, there’s a big step up in performance and comfort when you move up from plastic soles for carbon fibre. Each pedal stroke feels more efficient, there’s an increased feeling of connection to the bike and the firm platform prevents irritation or “hotspots” caused by flexing in cheaper soles. Shimano’s offerings come in a neutral white colour, which looks good with most kit and – importantly – wipes clean easily. The fastenings are secure and easy to operate even with full-finger gloves on – and there are even normal and wide sizings to help riders get the right fit. Despite only having slightly wider than average plates of meat, I decided to go for the wide model and haven’t regretted it. Once they’re fastened properly I just forget I’ve got them on. 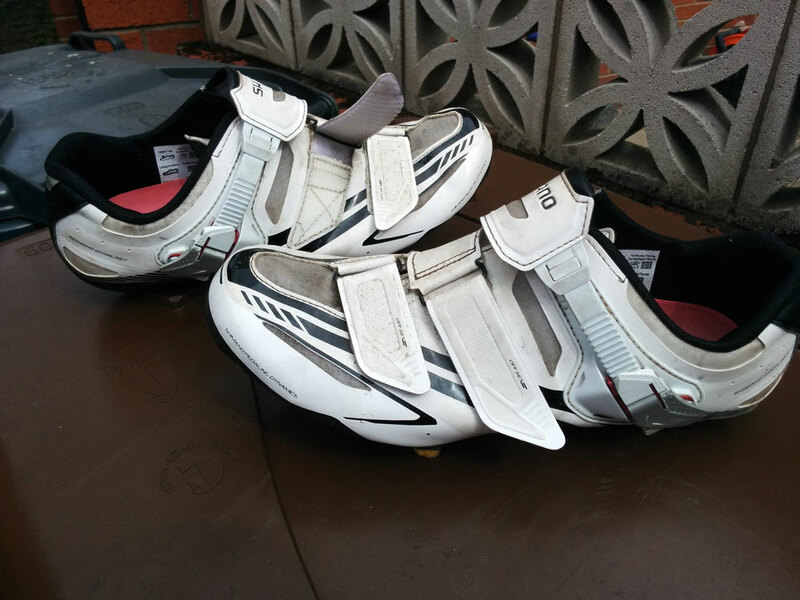 Shimano’s R170 shoes are a great upgrade if you fancy trying carbon soles. They’re light in weight, comfortable, airy enough in warm weather and seem durable after more than a year of duty as my only road cycling shoes (I put overshoes on top of them in the winter). Cleat fitting was simple and the cleats have moved much less frequently than with my last shoes. I’m not sure whether that’s a co-incidence or not – but it’s not a bad thing either way. I really can’t see why I’d want to spend more, especially as they’re commonly available for closer to £100 than the RRP of £150. Oh, and if you think £100 for a pair of shoes sounds daft then rest assured it’s actually really good value. Note – These shoes appear to have been superseded by the R171 model now, which is likely to also be a good buy.